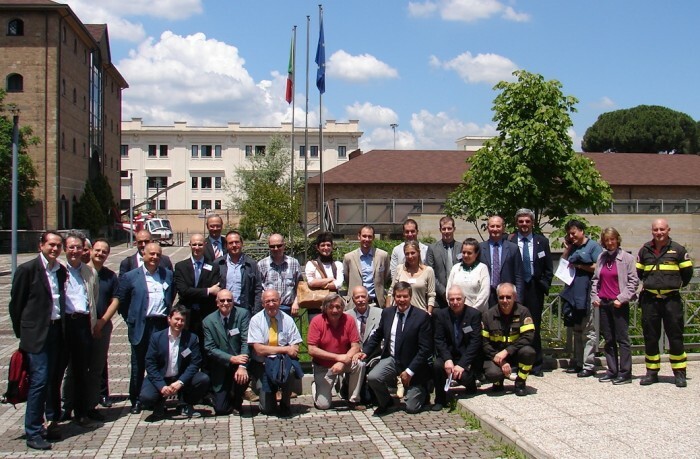 You are invited to attend the Thrid HyFACTS Short Course for Regulators and Public Safety Officials funded by HyFACTS and organised by HyFacts partners FAST at the premises of ISA (Istituto Superiore Antincendi). This course will be delivered by HyFACTS Project Partners, who will present the state-of-the-art in hydrogen safety for Regulators and Public Safety Officials. Participation is free of charge. The number of the places available is limited. Fast will give written confirmation to the accepted applicants. You can register to the Short Course by filling the Registration Form, saving it and sending it to the email address provided on the brochure before the 28th May 2013. The Thrid HyFacts Short Course will take place at the Istituto Superiore Antincendi (ISA), Rome, Italy, 6-7 June 2013 (see location map). From there it is a 10-minute walk or a two-stop ride with buses 23 or 769. Moreover, the ISA is only 700 m away from Ostiense railway station, a fast connection with the International Airport of Fiumicino. Please find the programme here.